Thirteen days of the New Year have gone by, and let’s face it — you’ve probably already dropped off your promises to do Pilates and spend more quality time with your older relatives. Don’t despair — your friends at Shelton Brothers have some attainable and extremely tasty and fresh resolution ideas that will fit your hectic winter schedule. This being the month to try something new, we suggest you discard those clichéd health or family projects and resolve instead to drink outside the box — sip a Texan apple wine, savor a Barcelonan saison, quaff a new-revivalist English ale, or chug a really funky, old-school German weizen. We’ve done half the work for you — all you have to do is put on your coat and get to the bottle shop or beer bar! 2014 was truly the coming-out year for cider and its unlimited variations, and we see no reason not to keep the party going into 2015. 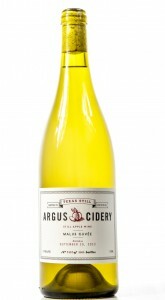 This month the Lone Star State’s own Argus Cidery introduces their Malus Cuvee, a 7.3% fruit-forward apple table wine inspired by the company’s favorite new world whites and German Apfelweins. Made from 2011- and 2012-harvest apples from local orchards and aged on new American oak, this is Argus’ first still cider. Order big — we’re talking Texas here. Argus ciders are available in 750mL bottles. Speaking of coming out, the previously Sangria-soaked nation of Spain is home to the fastest-developing craft beer scene on the globe, and the Catalan region is undoubtedly its spiritual center. In 2013, two American expats established a small cerveceria in the seaside capital of Barcelona with the goal of providing locally made American-style craft ales to a growing legion of aficionados. 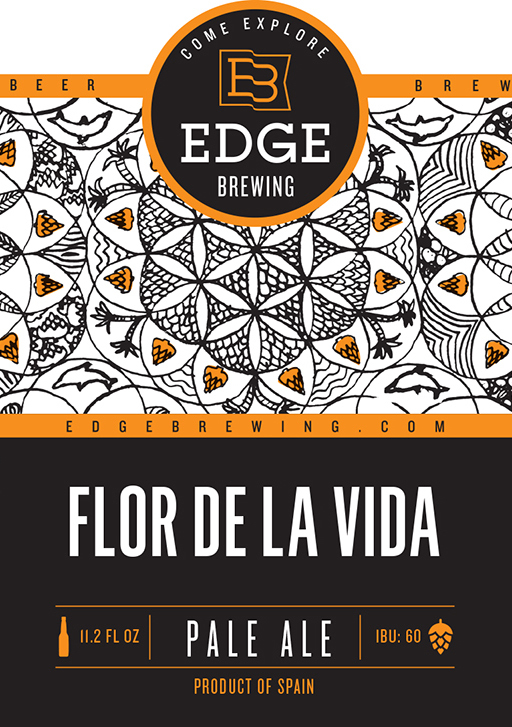 The appropriately named Edge Brewing has had an immediate impact on the city’s burgeoning beer scene, and the Shelton Bros wasted no time in grabbing some of this exotic Mediterranean-American brew for the U.S. Fresh off the boat are Flor De La Vida, a 4.7% citrus-y, herbal, and floral American pale; Hoptimista Cascade, a spicy, flowery, and grapefruit-y 6.6% American IPA; Padrino Porter, a roasty, slightly smoky, and smooth 6.9% dark; and Power Plant, a fruity, earthy 7.2% saison with a hint of sourness. 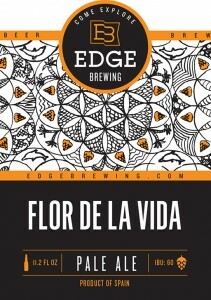 Edge ales are available in 33cL bottles and 30L KeyKegs. Despite its lofty position as the home of the original craft-beer movement, England is today the most underappreciated of the great brewing nations. Certainly the appeal of its old-school ale, with all its subtlety and nuance, has eluded many a self-appointed beer “connoisseur.” Well, scores of small brewers are now stretching out, radically expanding the boundaries of British beer even as they remain the masters of pure ale making. One of our favorites is Buxton, who skillfully mix the ultra-traditional with the cutting edge. Recent shipments feature the best of both worlds: their flagship Axe Edge is a full-flavored and complex 6.8% percent real Brit IPA, albeit with a blend of fruity New World hops, while the 9.5% Tsar imperial stout offers up plenty of chocolate and dark berry flavors within its traditional velvety, malty palate. And in the next few weeks we’ll welcome Buxton’s new wave, all collaborations: Dragon Tips, a big 8.2% maple, chipotle, and bacon stout co-brewed with Arizona Wilderness; Stolen Fruit, a 4.6% sour wheat ale made with pink grapefruit and lime in partnership with Sweden’s Omipollo; and Sky Mountain Sour, a 4.9% collab with the venerable To Øl of Denmark. 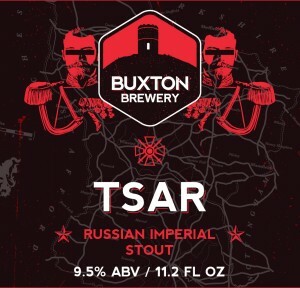 All the Buxtons are available in 330mL bottles; Tsar is also available in 30L kegs. And take a look at the brand-new Buxton video on our website! Finally, we offer a one-shot chance to experience some true old-time Alpine goodness: the rustic, earthy, and uncompromisingly tart wheat beers from Passau’s Weizenbierbrauerei Thomas Andorfer. We generally import these as exclusives to a single German restaurant in Pennsylvania; this month only, we’re offering the uber-classic spicy, ester-y 4.8% Weizen and dark, clove-y 7.7% Weizendoppelbock to the rest of the country. Stock is extremely limited-grab them. Schnell! 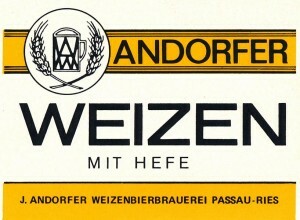 Andorfer is available in 30L kegs.